This is the first post in a series discussing what happens when one dies without a will in Dallas or elsewhere in the state of Texas. When someone passes away without a last will and testament, confusion arises. This situation is far more common than many think. We have two goals with this series. First, we hope to help residents of our state know what to expect from the process when their loved one passes without a will. Second, we hope to help people understand what types of legal challenges they will face. We cannot stress enough that you should contact an attorney immediately if you are dealing with such a situation. These are important topics to analyze as residents of our state often err in thinking that the process will be simple when loved ones die intestate. 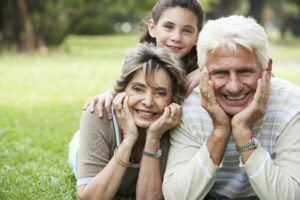 These residents may mistakenly believe that all assets will automatically go to the deceased’s spouse or children or that debts of the estate do not have to be satisfied. Failure to understand the law can also lead to property being included in the estate that should not be, property not being included even though it should be, and heirs being mistakenly included or excluded. Texas residents can ensure that their estate does not have such problems by retaining an attorney to draft a will. If a loved one has already died without a will, those affected should contact a lawyer who handles Dallas intestate estates immediately so that the process gets off on the right foot. The Johnson Firm addresses the issues discussed in this post and serves clients in Dallas, Plano, Denton, Fort Worth, Highland Park, Garland, Irving, Frisco, McKinney, Austin, Houston, San Antonio, Nacogdoches, and Lufkin, Texas.